I looked on wordpress today and it says I have 100 followers! This is so awesome, it’s weird to think that I started this blog last October, so 10 months ago, and thought maybe 50 in a year would be an aim and we’re at 100 already. 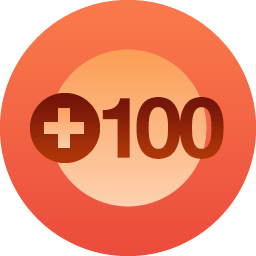 I know this probably seems small to a lot of people but it’s amazing to me that there are 100 (well 101) people out there who like my blog enough to follow it.